Why are lithium-ion batteries being used in all of these applications? The widespread usage of this type of battery is given to the fact that lithium ion batteries have “an unmatchable combination of high energy and power density, making it the technology of choice for portable electronics, hybrid tools, and hybrid/full electric vehicles” according to an article posted on ScienceDirect – and because of its “light weight, high energy density and ability to recharge” according to a webpage on the US Department of Energy website. 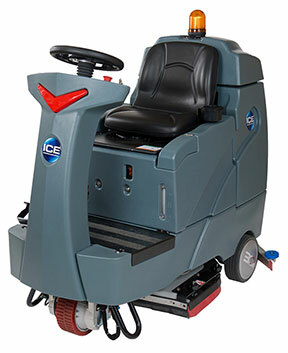 The cleaning industry has been accustomed to using other battery technologies for cleaning equipment– such as lead acid or “wet” batteries, and AGM/gel or “sealed” batteries – and these batteries are well accepted and prevalent. There are some undeniable benefits to using something that is tried and true, and familiar. But what if a lithium-ion battery – and all the inherent benefits of this technology – could be used to power an autoscrubber, or even a backpack vacuum? Is a Lithium-Ion Battery Powered Piece of Equipment the Right Choice for Your Facility? 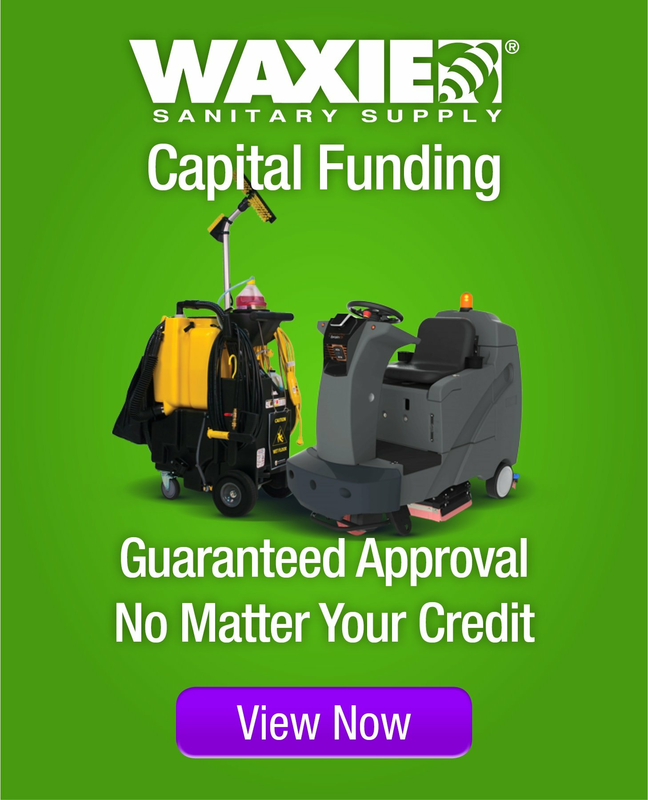 Please work with your local WAXIE Account Consultant to determine if this innovative new battery technology can benefit your cleaning operation. 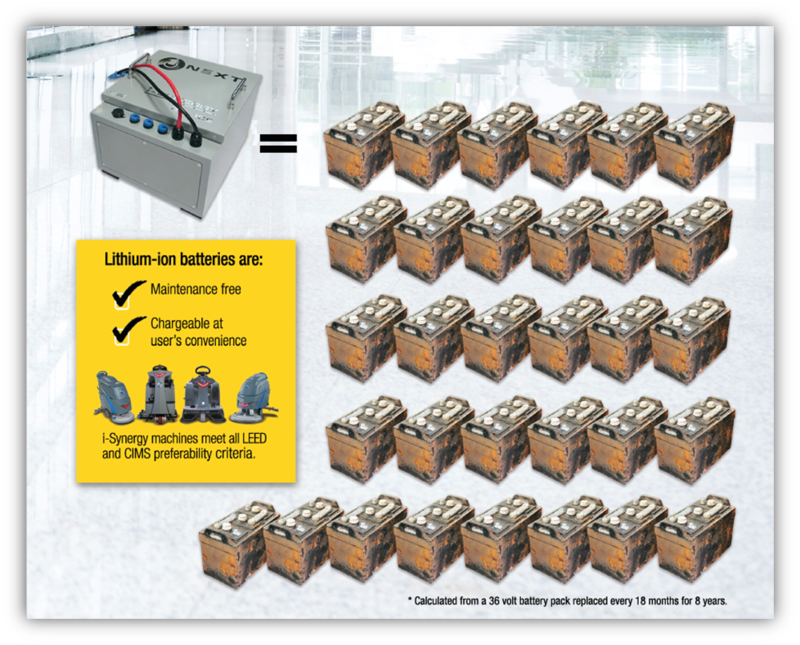 With Lithium-Ion Your Battery Problems are Over! Contact WAXIE to Learn More!